Learn how to make your own DIY Beach Poncho no pattern necessary! Luckily they are extremely easy to make! We love a flowy cover up for the beach and the pool. Today we are going to show you how to make this DIY Beach Poncho with pom pom trim. The key is to find the right fabric. We used 100% Rayon. It’s inexpensive and it has great drape. The pom pom trim is from Amazon and it comes in other colours as well. 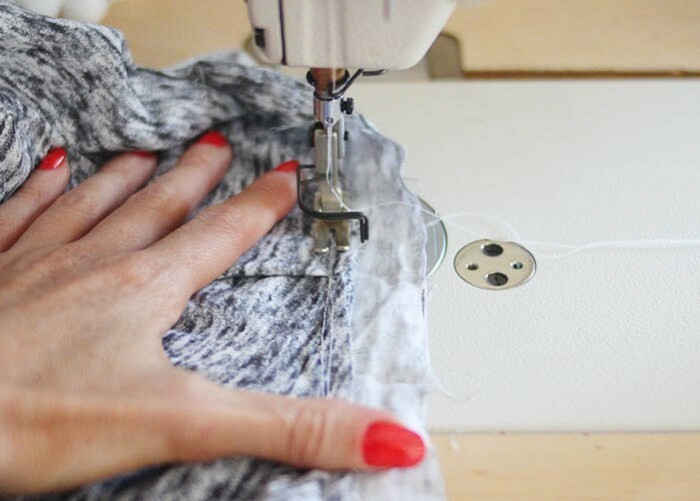 Take your 2 meters of fabric and fold it in half – 1 meter on each side. 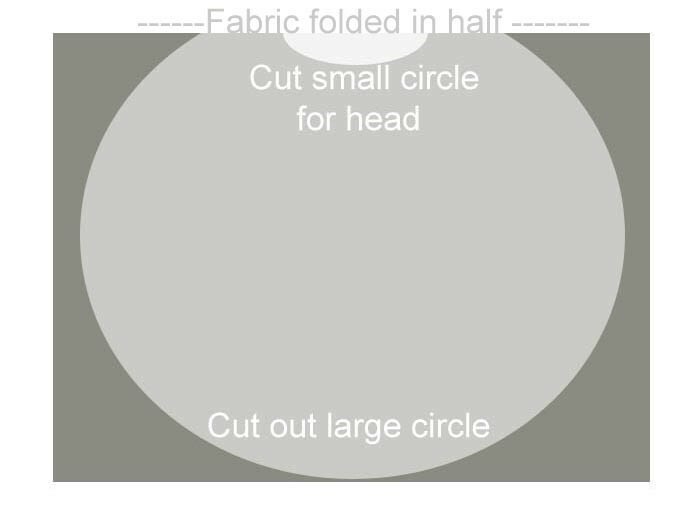 Cut out a large circle to make the shape of the poncho. Cut out another half circle at the top to make the neck hole. Start small– and measure by trying to put it over your head as you go. 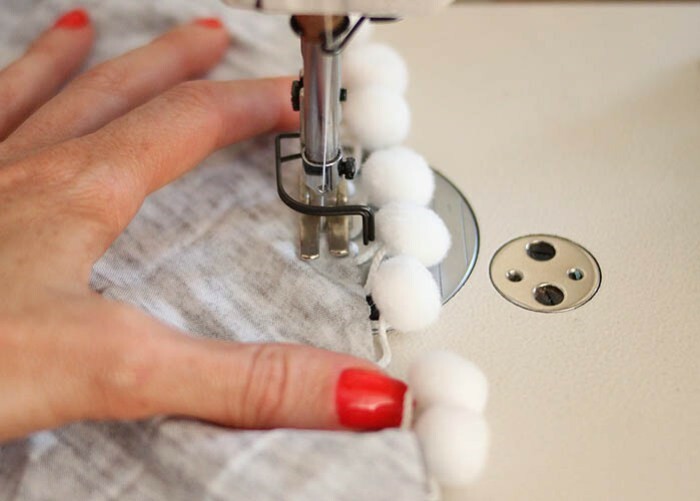 To make the binding that goes around the neck, cut a piece of fabric that’s 1/2 inch longer than the circumference of the neck. Make the width 1 1/2. Sew the ends of the binding together and stitch to the inside of the neck. Fold the binding over twice and stitch down in place. And that’s it. You have yourself a gorgeous summer poncho to wear this summer! Thanks to Gina Michele for this wonderful share!